While you don’t necessarily need a captain to win in the NHL, the healthy majority of teams currently without one just missed the playoffs. That admittedly could be a coincidence. The one team that didn’t? It was instead led by Hart Memorial Trophy winner Carey Price. That isn’t. And he, for the record, technically wore a ‘C’ (and ‘H’) every game on his jersey. Just sayin’. The Oilers are an odd case. They technically haven’t stripped Andrew Ference of his ‘C,’ but are nevertheless one of the few teams whose team page doesn’t currently designate its leadership group. And, on top of that, if you were to ask Ference, he’d probably tell you he’s not 100 percent sure he’s back in that specific role, based on a recent NHL.com report. It’s not totally out of the question that new head coach Todd McLellan would want to leave his own personal mark on the team and strip—for lack of a better word—Ference of the captaincy. He is a Sharks alumnus after all. McLellan’s old team has a long and rich (and not-so-proud) tradition of changing captains. The Sharks have stripped players of the ‘C’ so often, one gets the sense that maybe they’d feel more at home as the new Las Vegas franchise. 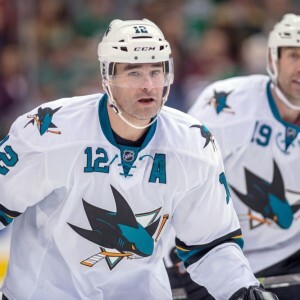 In 2009, Patrick Marleau had it taken away. 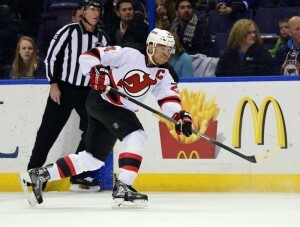 He was replaced by Rob Blake, who retired at the end of the following season. Joe Thornton in turn replaced him, before he got stripped of it following the team’s first-round collapse against the Los Angeles Kings in 2014. In any case, the Sharks entered last season with four alternates, including both Marleau and Thornton (as well as Joe Pavelski and Marc-Edouard Vlasic), which can only mean one thing: The Sharks value their leadership, but just think they need the extra confidence a higher grade-point average will provide. Potential alternative choice: Vlasic or, hey, Logan Couture, because promoting someone without a letter directly to captain under the team’s current circumstances would really speak to incredible mismanagement. 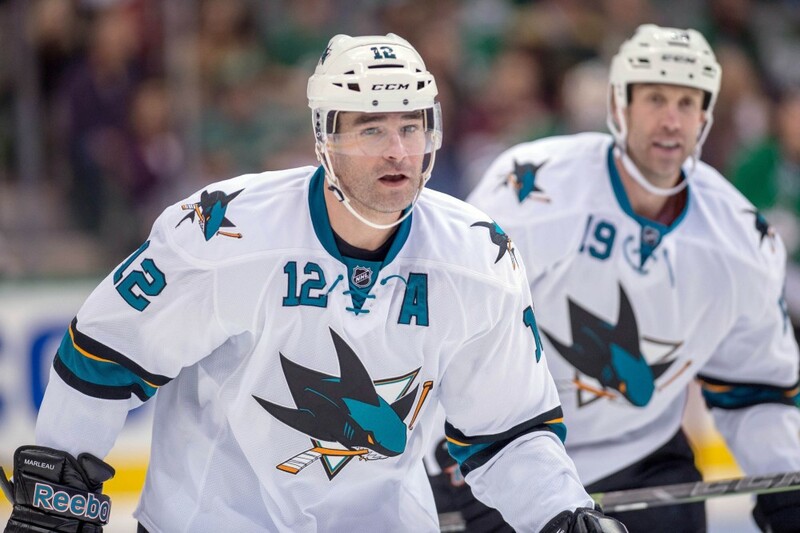 The rubbing of it in the faces of Marleau & Thornton that would transpire all the while? An unfortunate, likely inadvertent byproduct and, sadly, just par for the course. Former Devils captain Bryce Salvador retired this week as an unrestricted free agent due to various ailments. He actually helped lead the Devils to the 2012 Stanley Cup Final, in part prompting his promotion in 2013. Unfortunately, considering the disrepair of the organization currently, it’s hard to believe the lack of leadership over the 67 games Salvador missed was the sole contributing factor to their disappointing season. They nevertheless have a strong veteran core that should be able to pick up right where they left off … which is code for they’re old and need to get younger to avoid a fourth-straight non-playoff season. Logical choice: Patrik Elias (who wore the ‘C’ in 2006-07 and got stripped of it by head coach Brent Sutter, a man who clearly knows to lead by example and see things through). After losing Brian Gionta to the Buffalo Sabres (one of two possible sentences including both words in which the Sabres aren’t the ones doing the losing), the Canadiens opted to go with four alternates in 2014-15: Andrei Markov, Max Pacioretty, Tomas Plekanec and P.K. Subban. The Canadiens, of course, then proceeded to lose three of four to the Sabres during the regular season (the second of two). Now, Markov has never showed any interest in wearing the ‘C.’ And Plekanec will be an unrestricted free agent at the end of the season. As Plekanec plays center and the team has arguably both Alex Galchenyuk and Lars Eller as potential top-six pivots waiting in the wings (and David Desharnais), it’s entirely possible he won’t return. As a result, the Canadiens’ captaincy should come down to Pacioretty or Subban. It’s legitimately a toss-up between the two. While, a year ago, Subban might have been the favorite, Pacioretty might very well have an edge right now due to Subban’s oftentimes shaky relationship with referees (as a repeat diving offender and a tendency to go overboard vocalizing complaints).